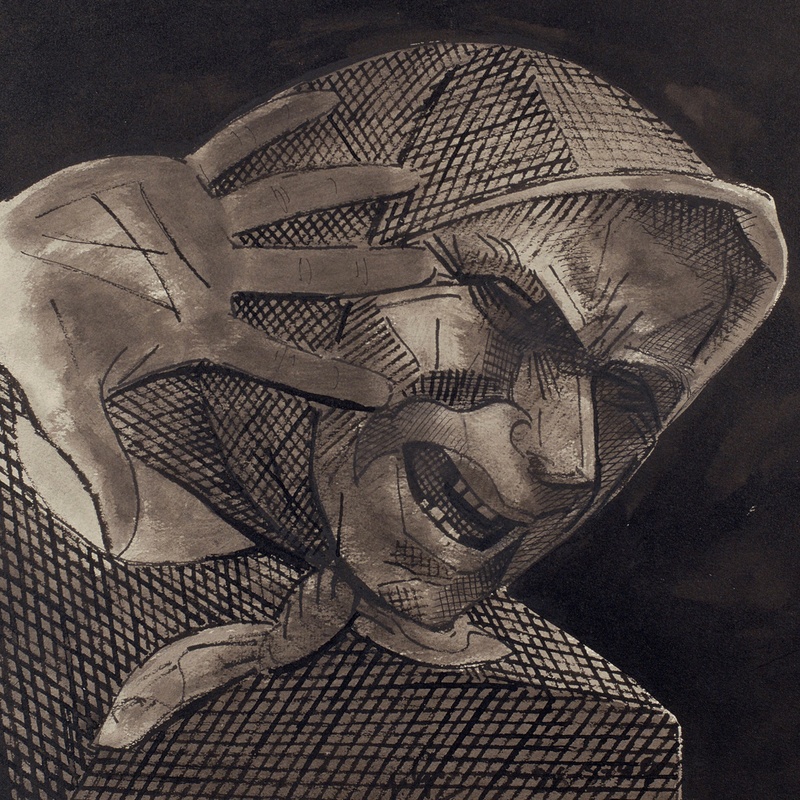 From 1936 onwards, González, concerned for the events of the Civil War, did many drawings that he would subsequently use to sculptureLa Montserrat , which has become a symbol of the Catalan woman, her pain and her protest against the war, apart from having a central role in the work of González from the 1930s until the end of his life. After the war he would once again take up the theme and rethought this feminine figure, that shouted against the repression, injustice and barbarities. He did drawings, like the one we just mentioned, which ended up in the form of a new sculpture, Head of Montserrat shouting , which he modelled in plaster and was cast when the artist had died. Both in these last drawings and in the sculpture the artist shows his capacity for reflecting feelings beyond those of the formal approach of the work, and his own shout against the injustice of the war.